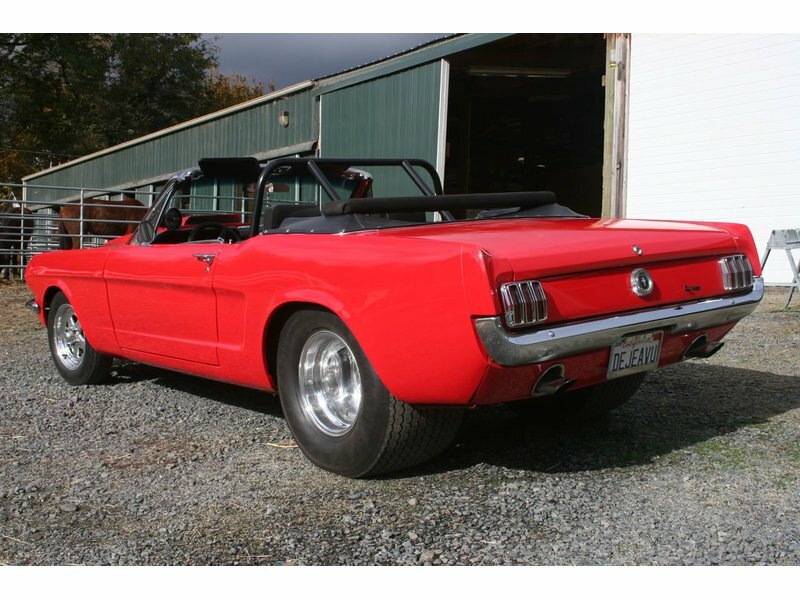 This 1965 Mustang restomod may look like a street monster, and we guess it qualifies, but as monstrous as this classic Mustang convertible is, it was designed to be a weekend toy with excellent street manners. 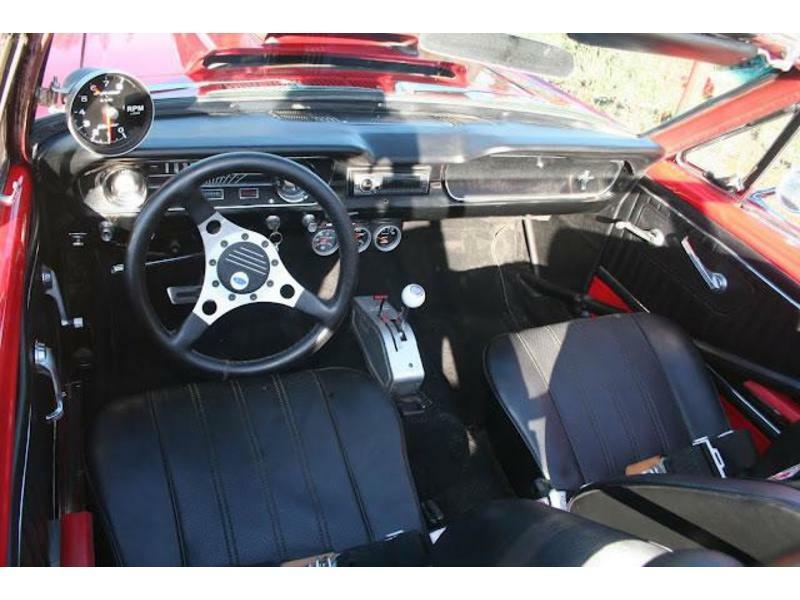 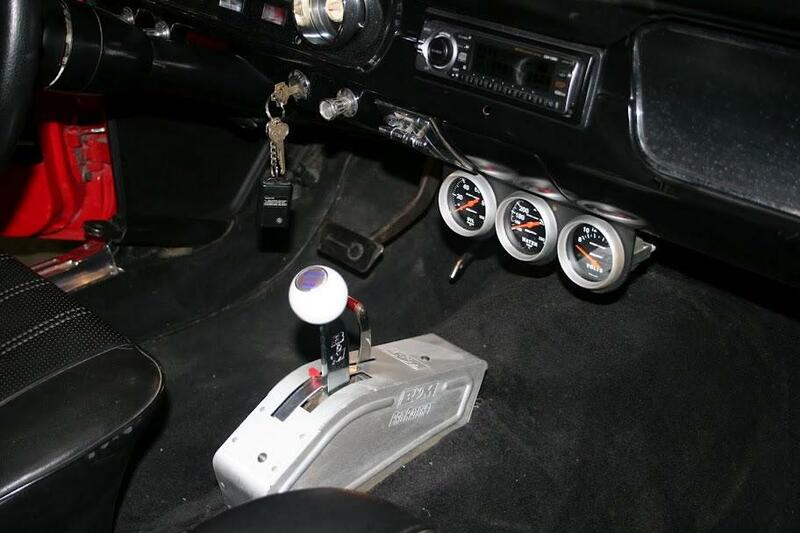 While the Mustang comes with a bored/stroked 427 C. I. 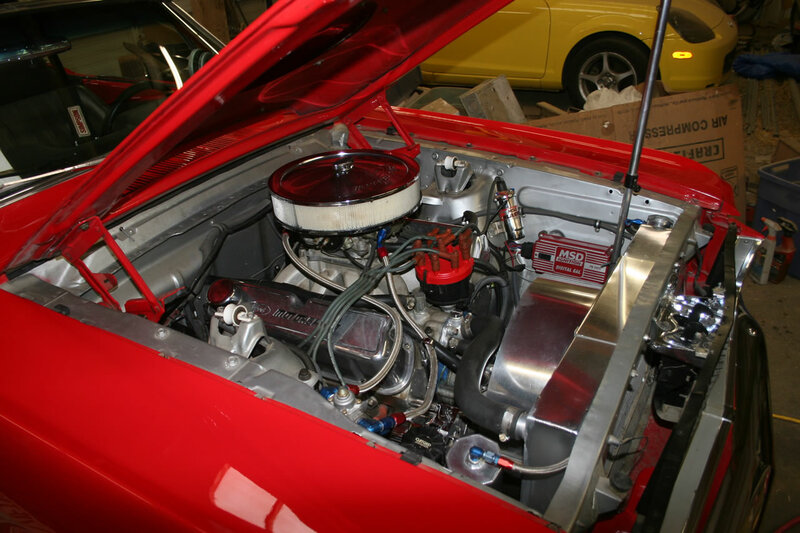 500 HP Windsor engine block and a highly modified C4 automatic transmission, it's docile enough to be used as a parade car. 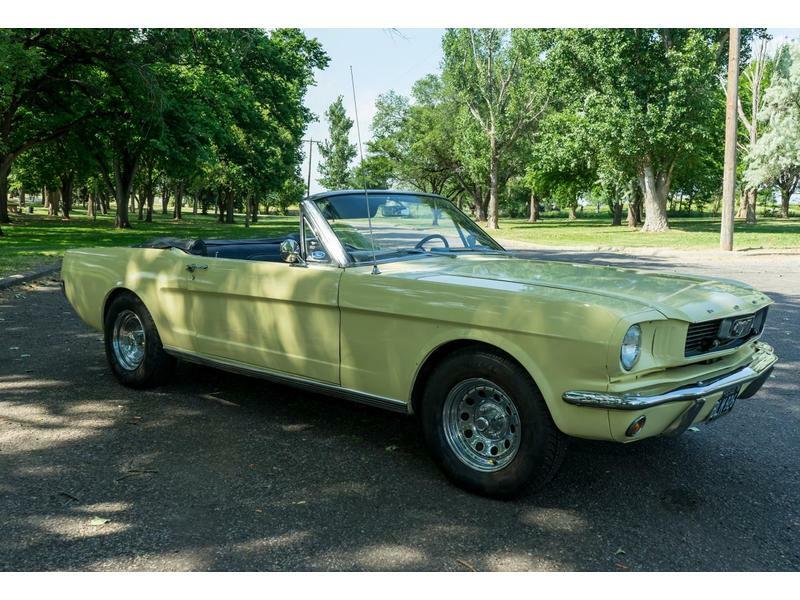 Many parades often use classic convertible Mustangs for transporting parade officials and this one has been sparingly used for that purpose since it's full three year restoration. 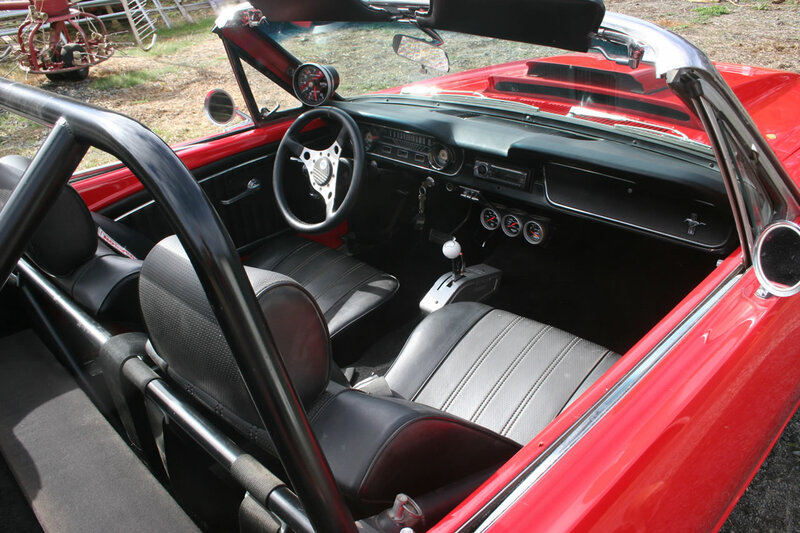 The Mustang is even designed with a parade seat, which will accommodate three beauty queens comfortably. 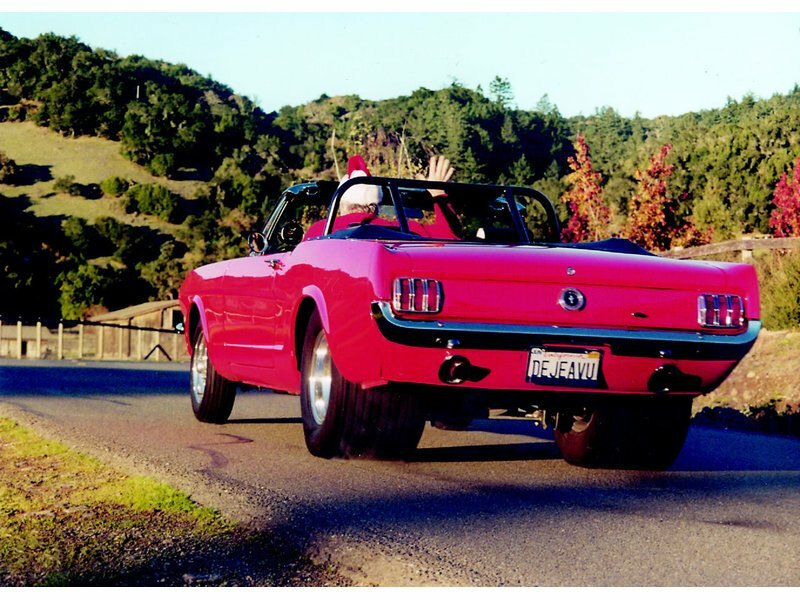 Just think of that sight in your rear view mirror or even viewing a proud Mustang photo keepsake! 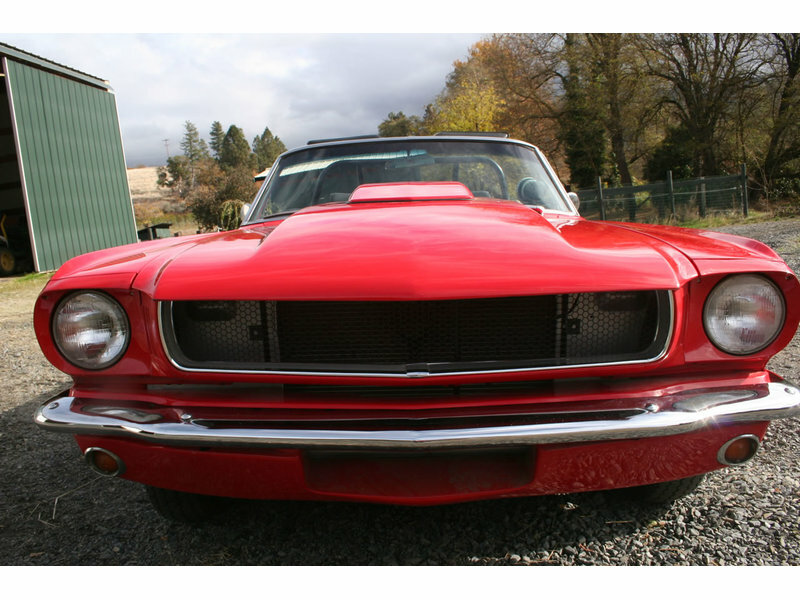 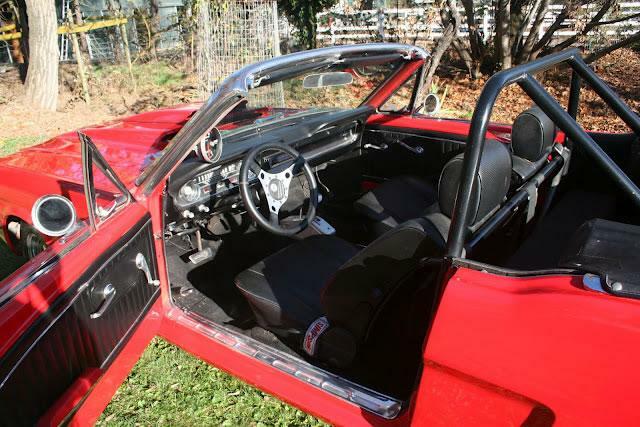 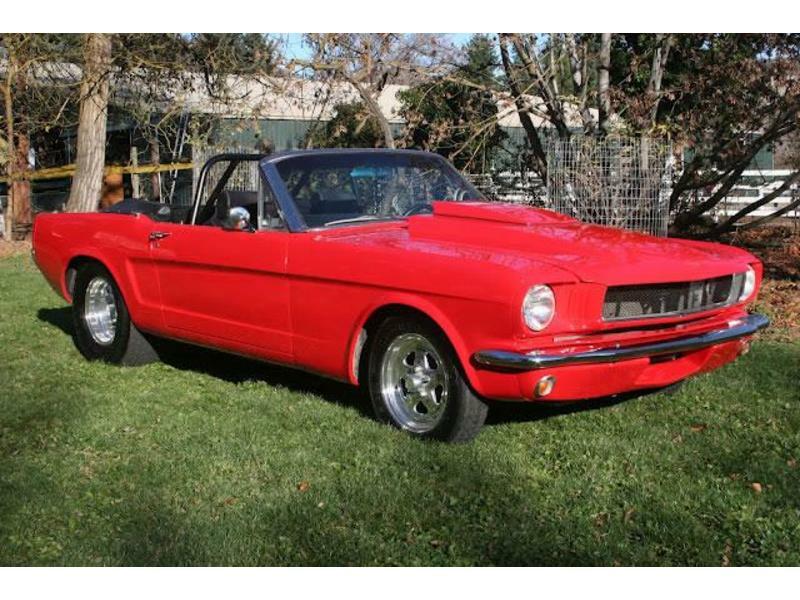 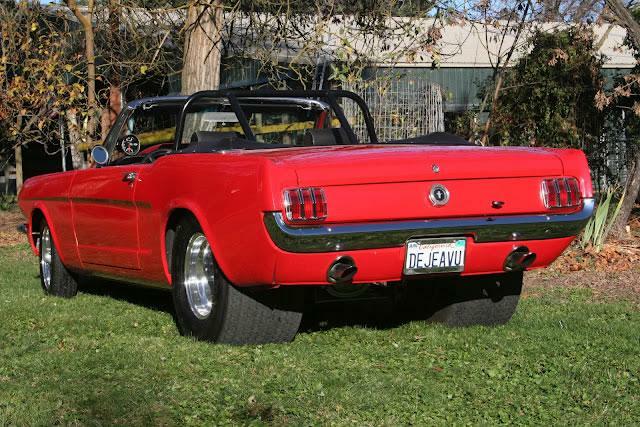 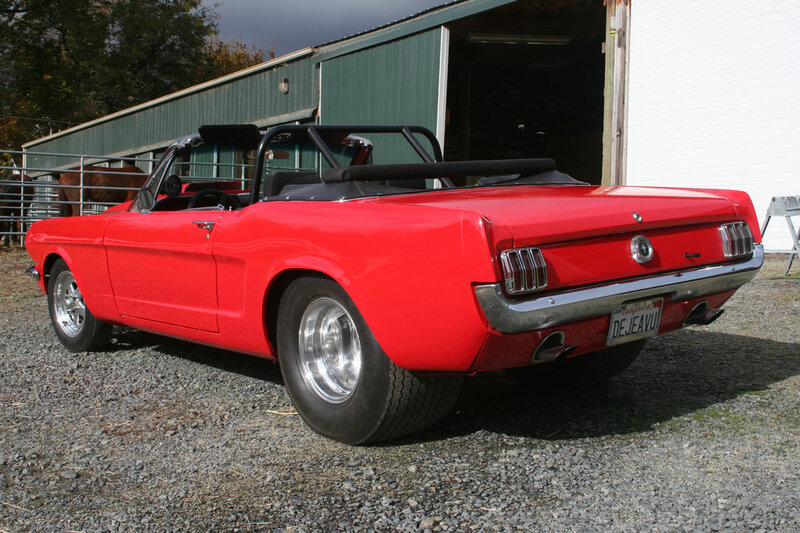 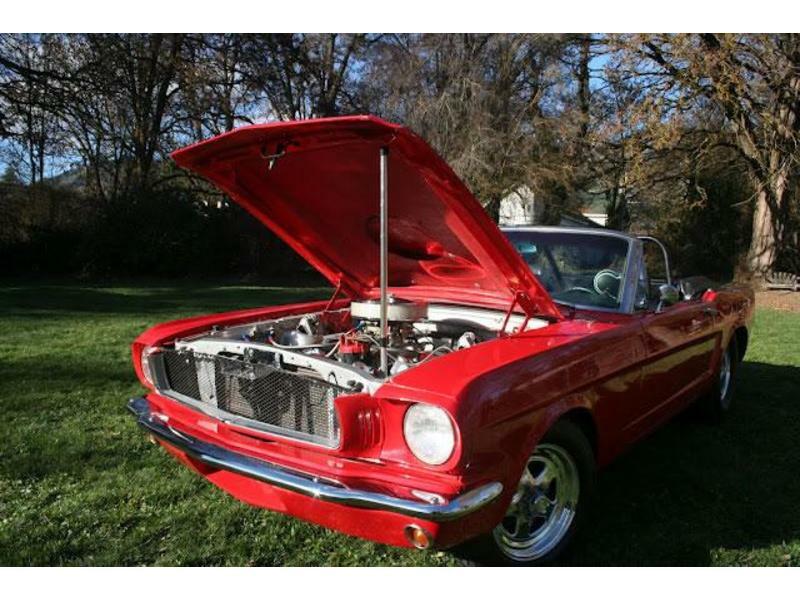 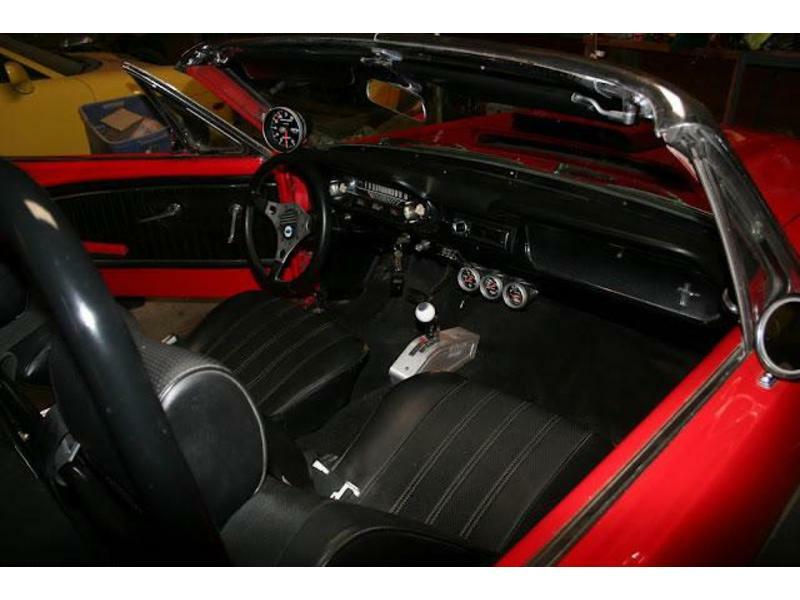 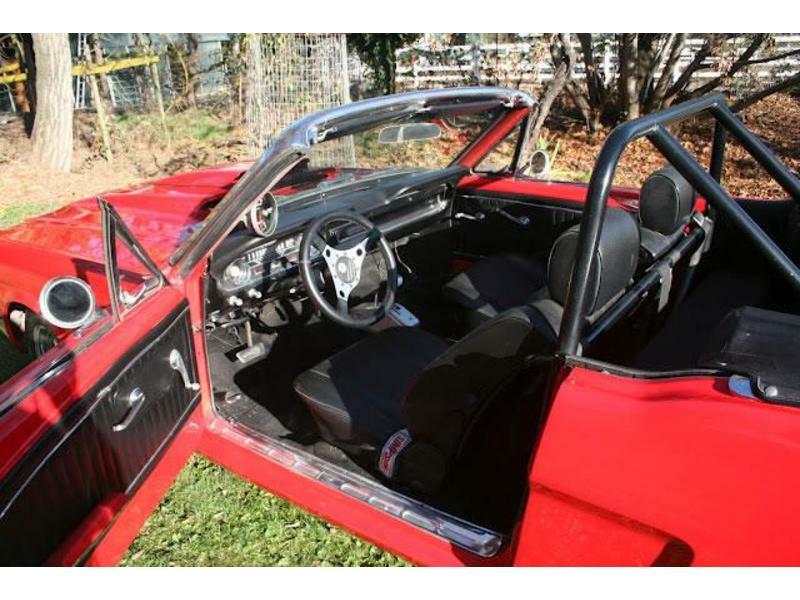 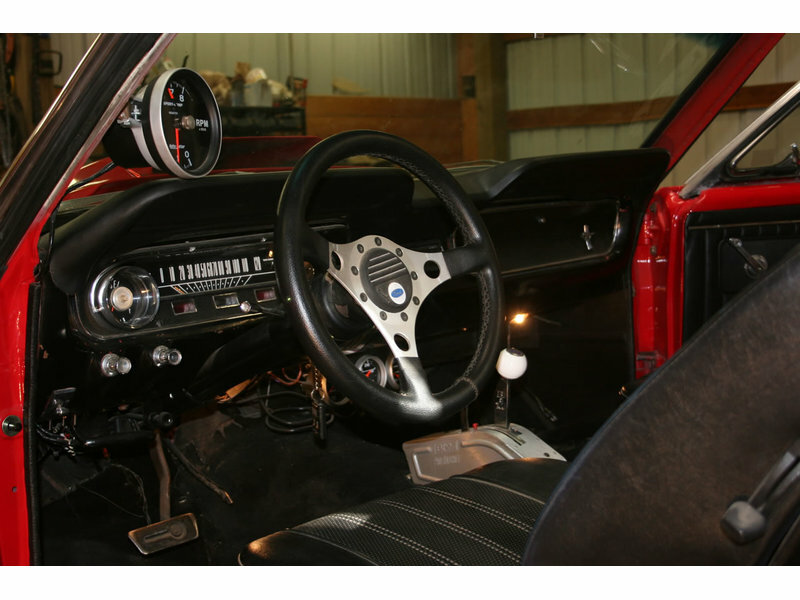 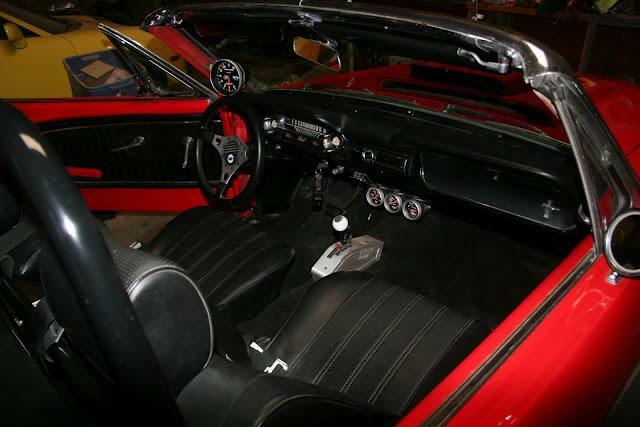 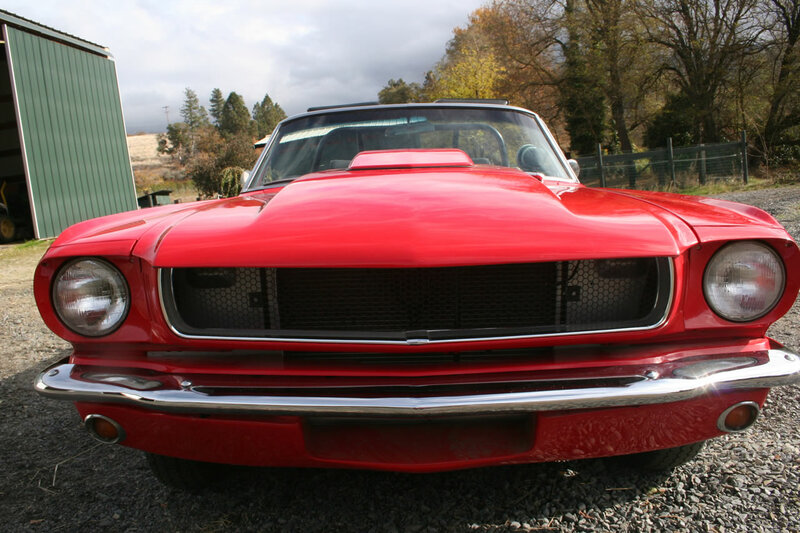 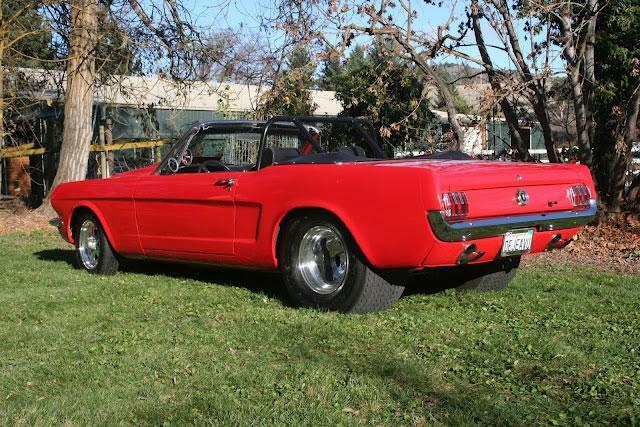 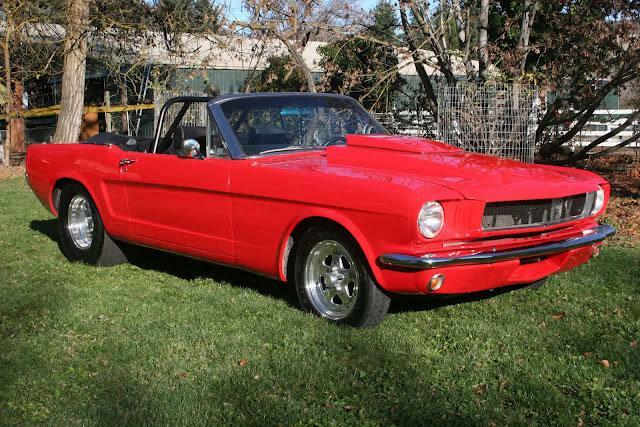 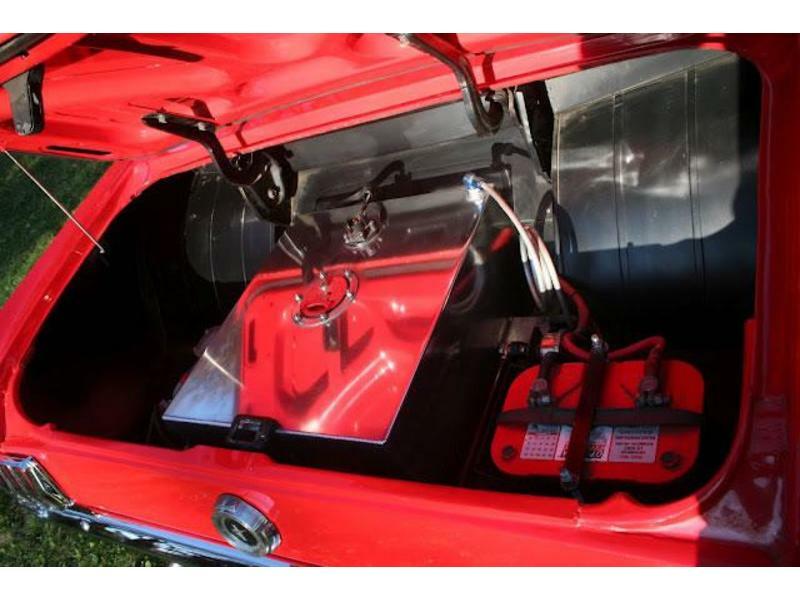 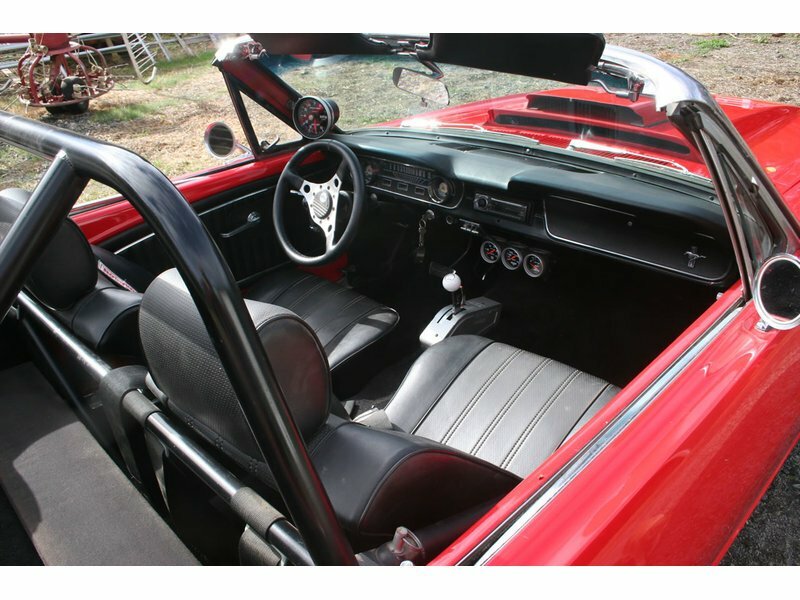 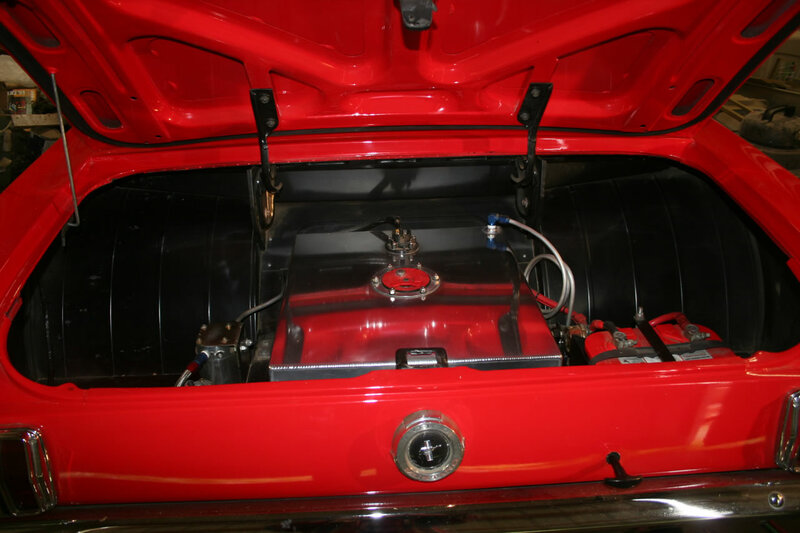 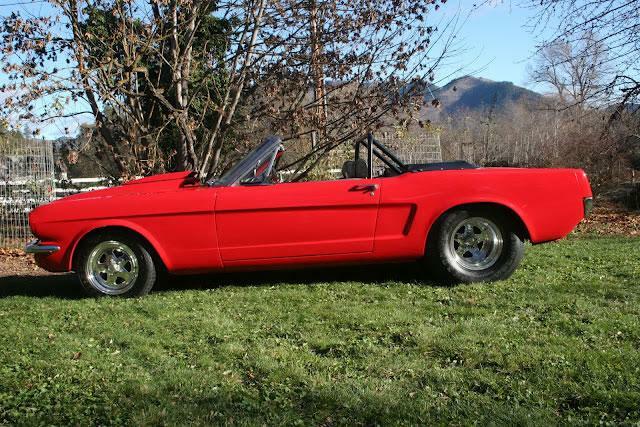 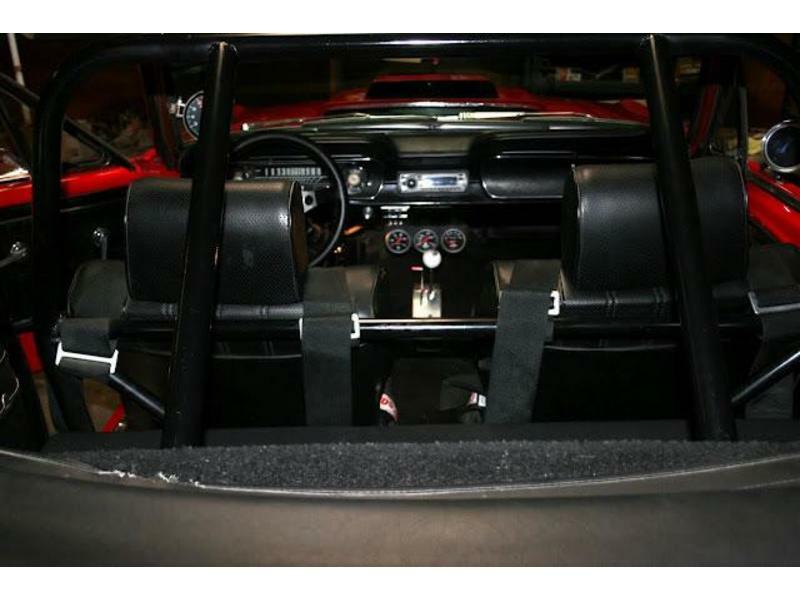 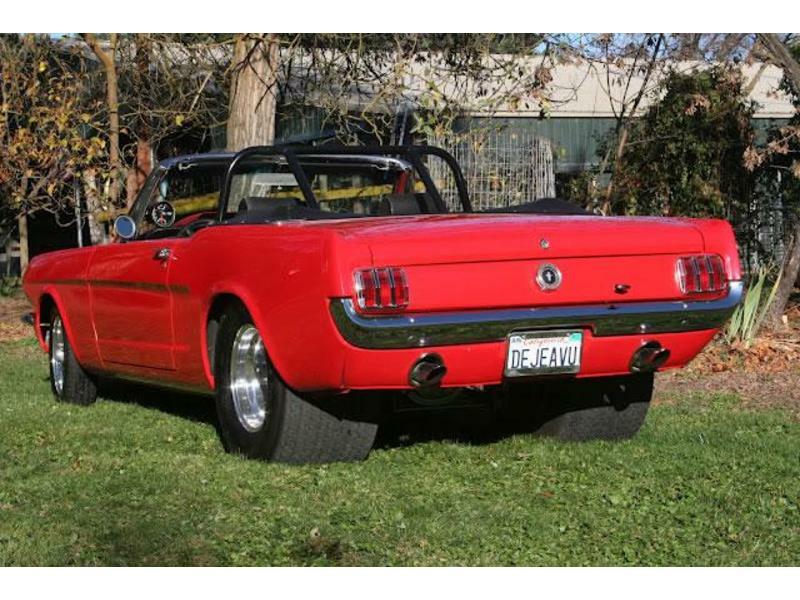 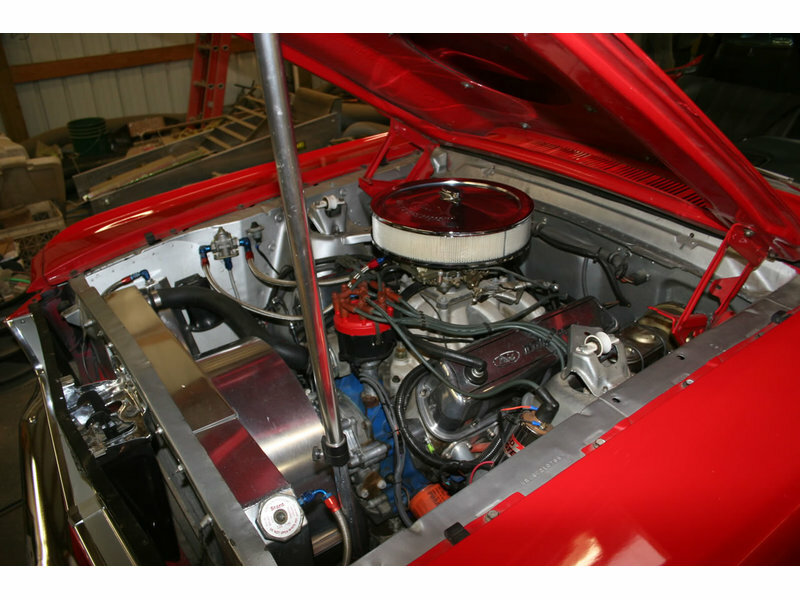 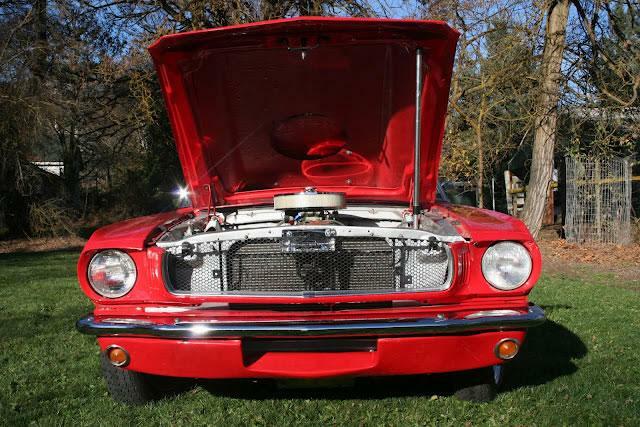 This 1965 Mustang Convertible has had a complete body off restoration and customization. 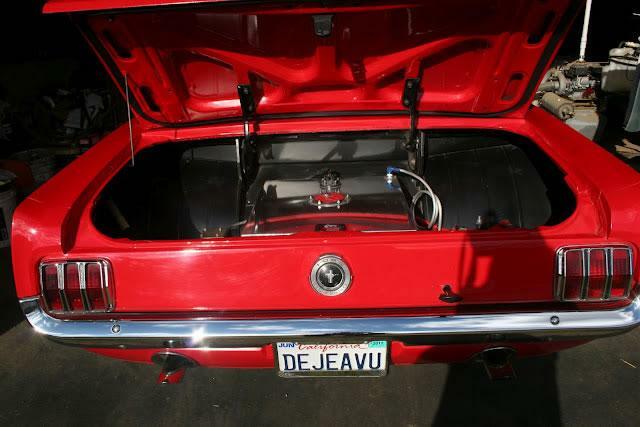 The rear end has been tubbed which eliminates the back seat. 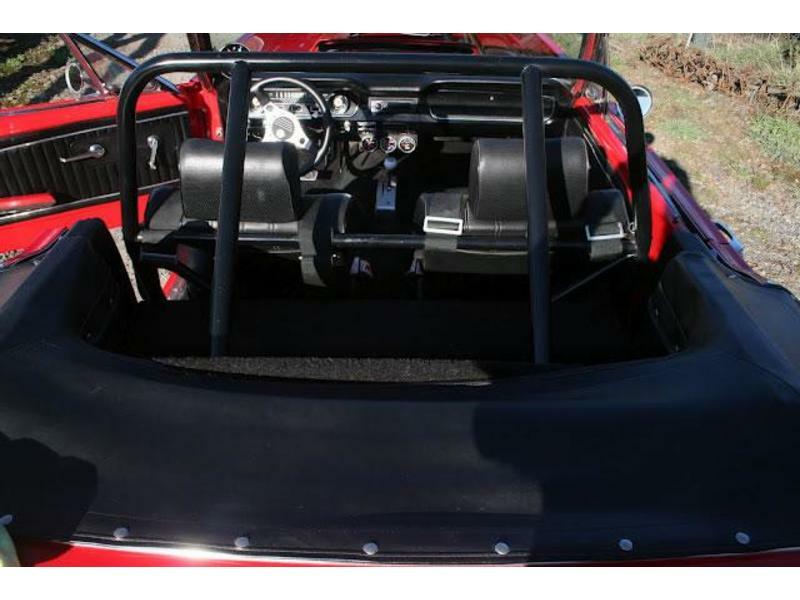 The parade seat rests on the roll cage, a perfect perch for occupants to wave at the crowds. 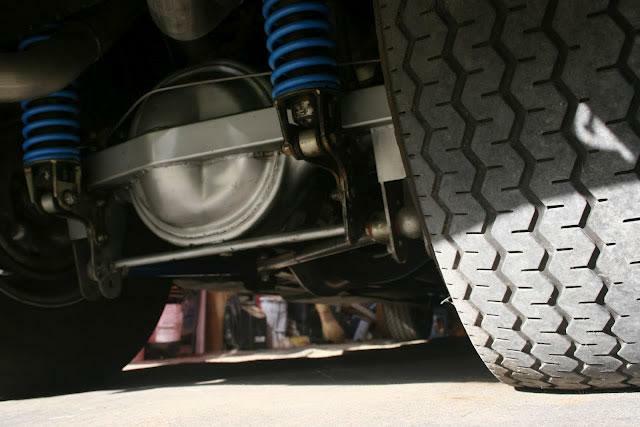 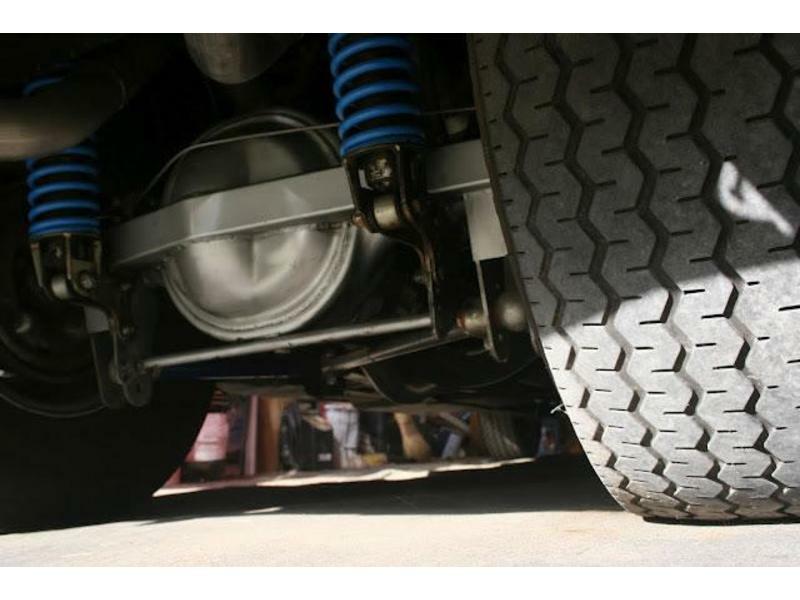 The rear tires are massive, and the rear wheel well opening has been extended. 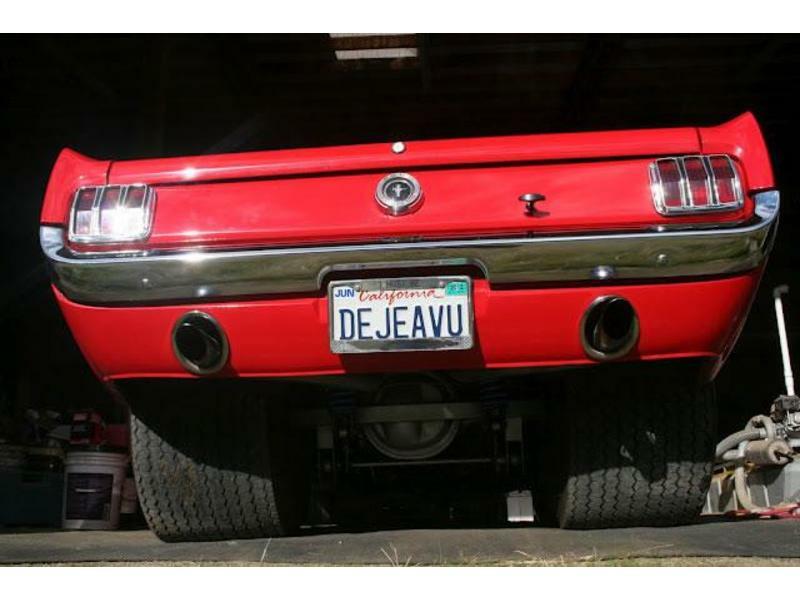 It looks stock and by extending it 4" the look is very clean. 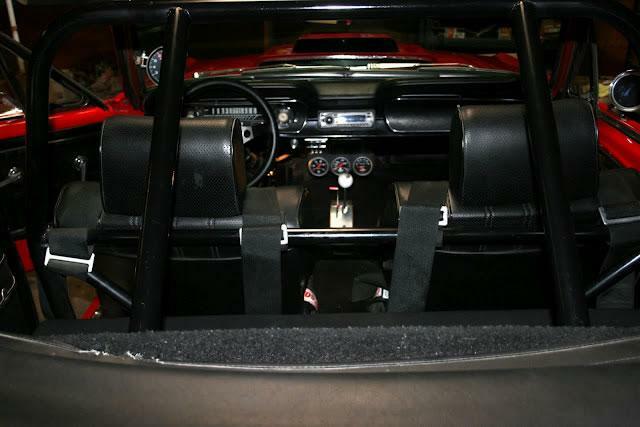 The floors were replaced and a complete frame was added from the rear bumper to the front for stability, control and safety. 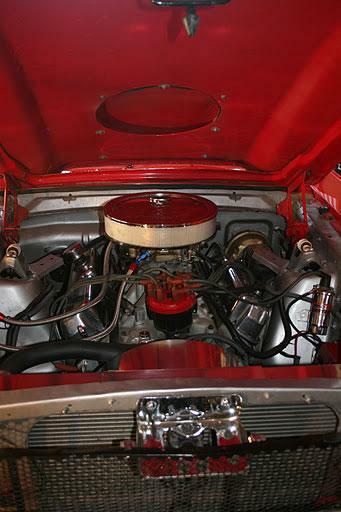 The 427 C. I. Windsor engine features Twisted wedge heads ported and polished. 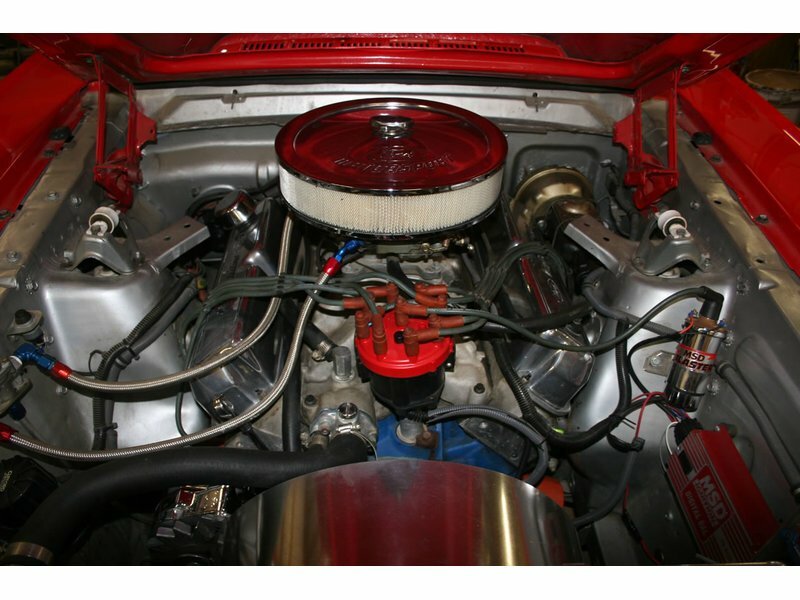 The intake valves are 2.08" and the exhaust valves are 1.64". 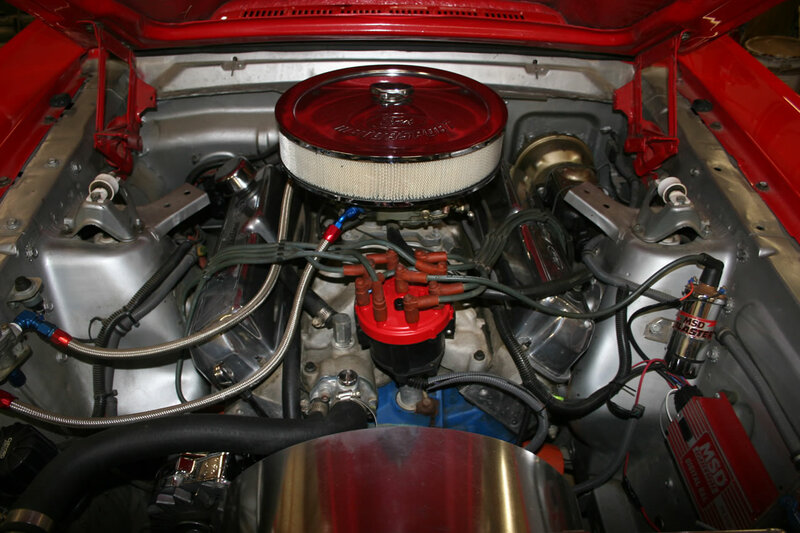 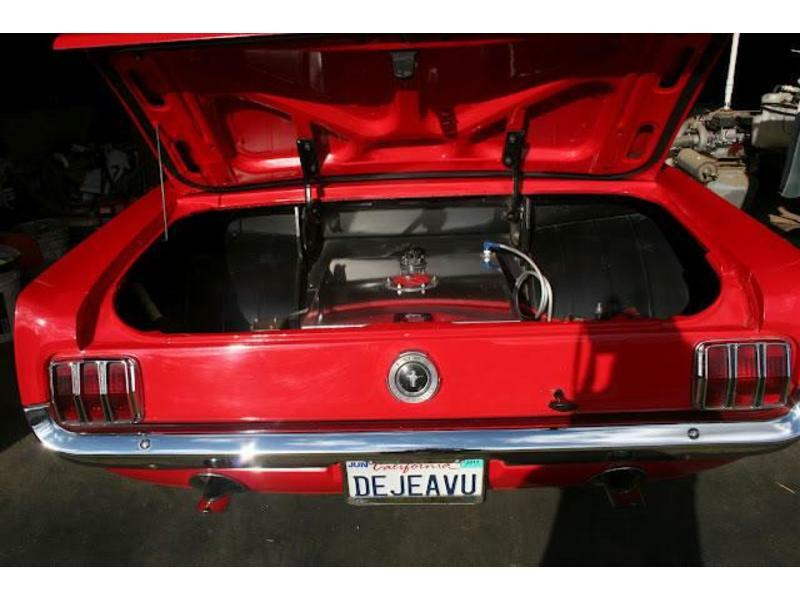 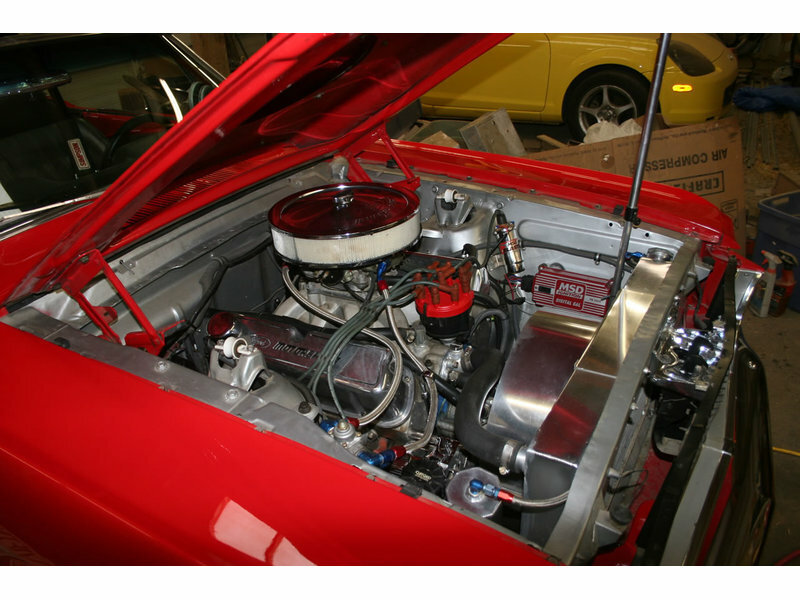 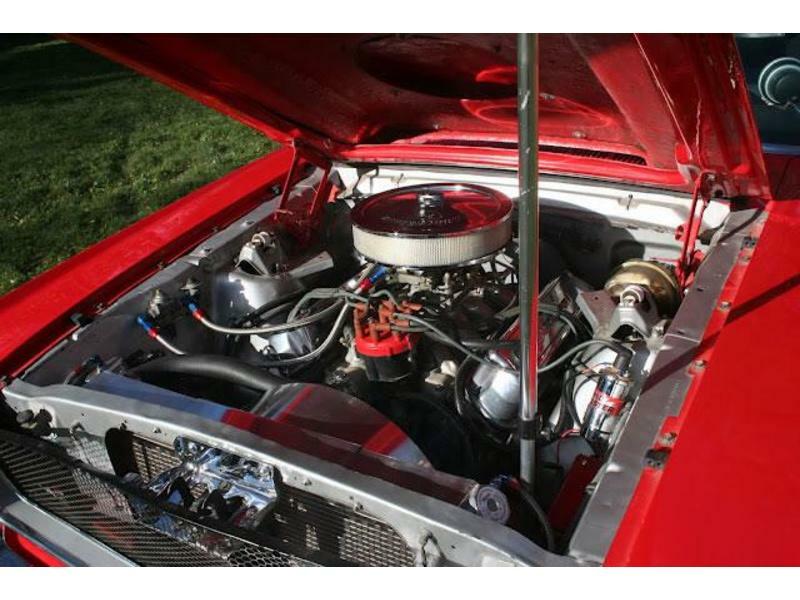 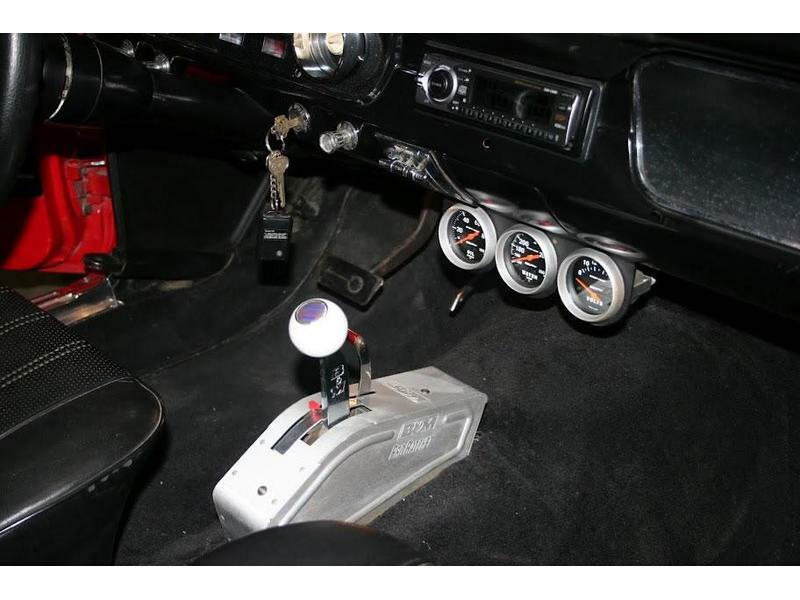 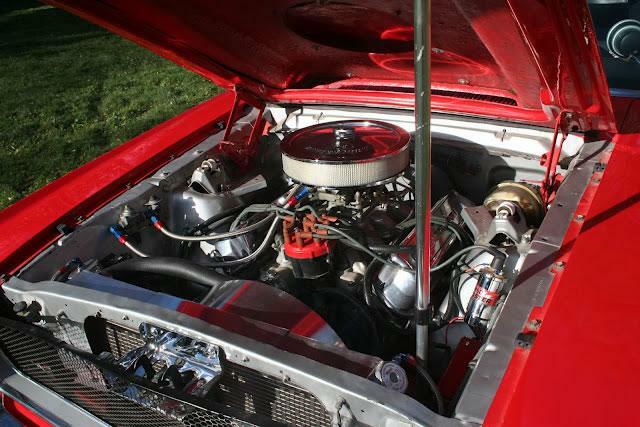 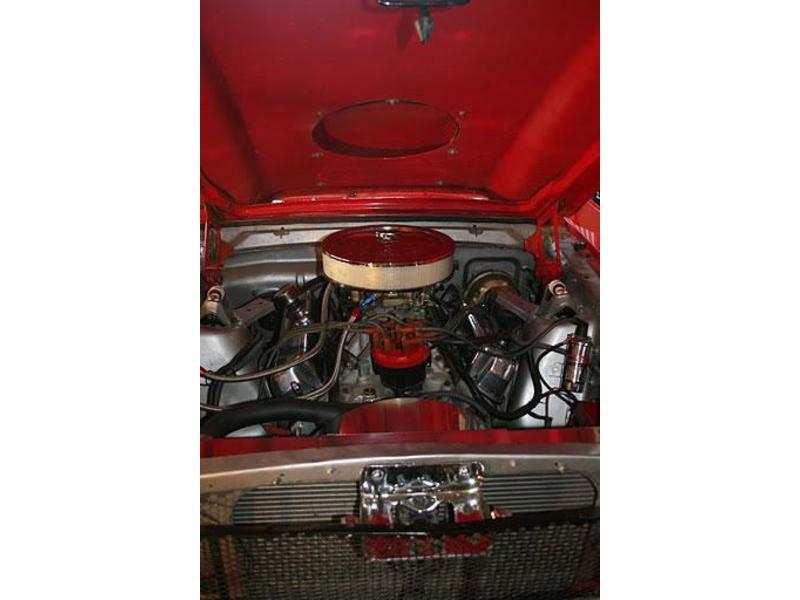 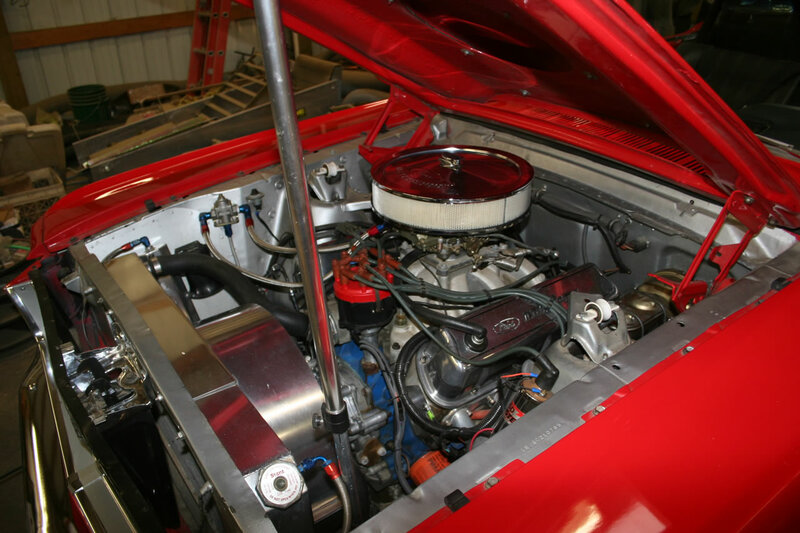 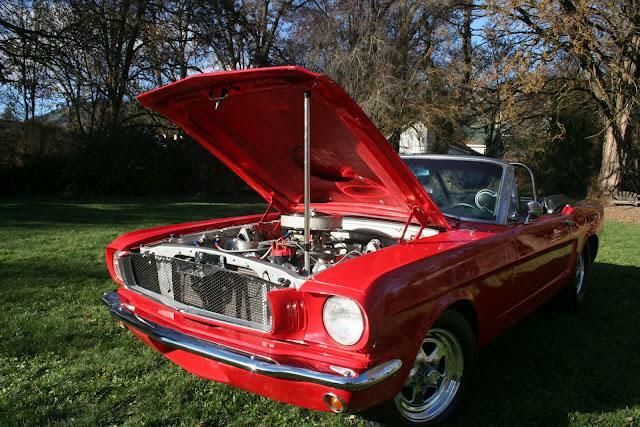 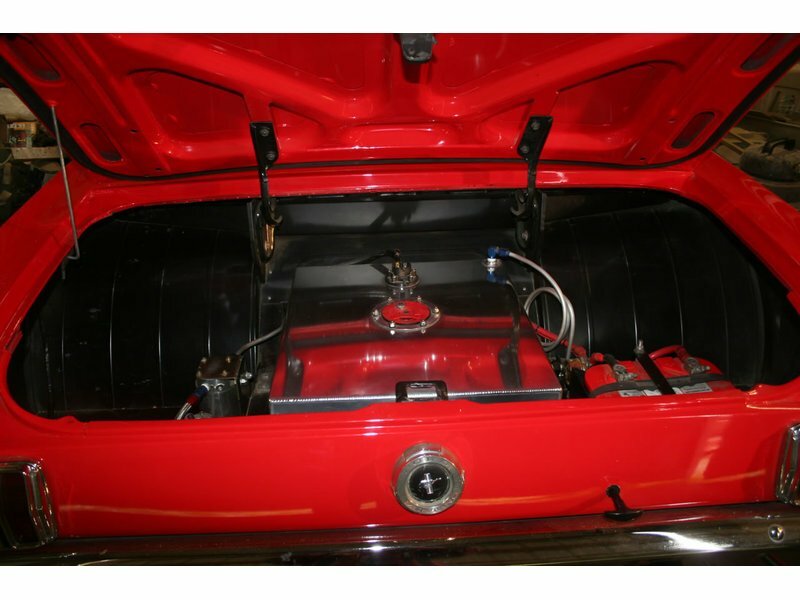 This 65 Mustang comes with Fel Pro wire lock head gaskets, matched Eagle connecting rods and Clevite bearings, custom Stroker crank, Probe flat top pistons, Billett balancer, MSD 6AL digital ignition and distributor, 8 qt oil pan, Victor junior intake manifold, a Holley 850 double pumper, Block hugger Headman headers reworked to fit the Twisted wedge heads, a four row aluminum radiator, a custom Flowmaster stage 2 exhaust, Cragar wheels 4" in front and 15 X 15 in rear with 18.5 X 31 Mickey Thompson extra soft rears, a 15 gallon foam filled aluminum fuel tank, Holley Blue continuous circulating fuel pump, and an exterior mounted kill switch for all the electrical components. 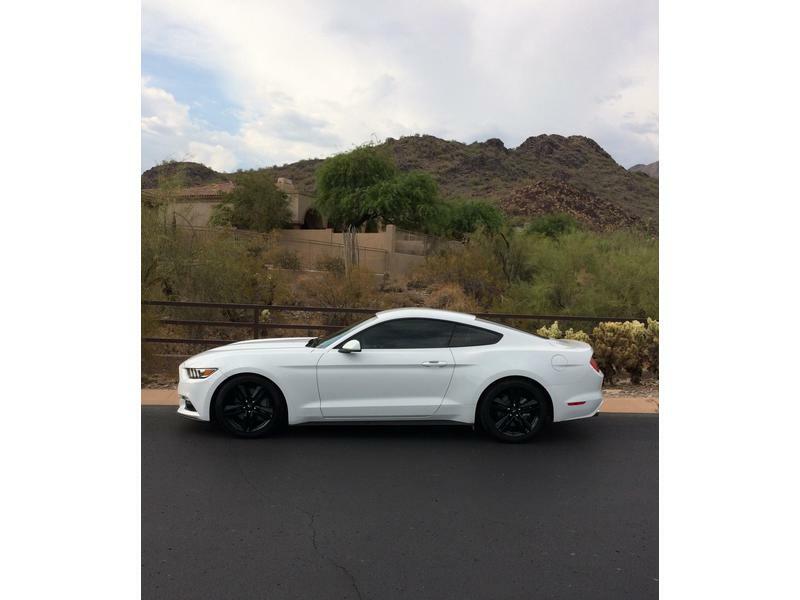 This is a GREAT fun car that can be driven daily or just for occasions. 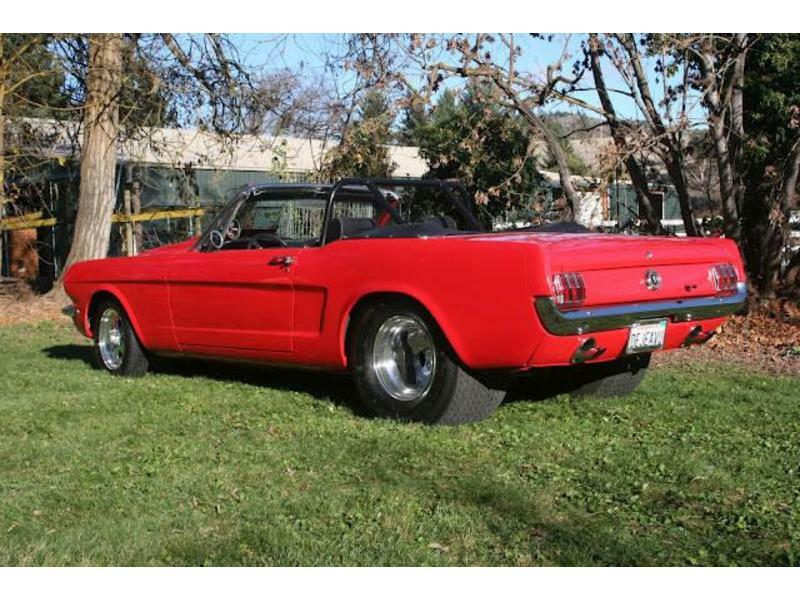 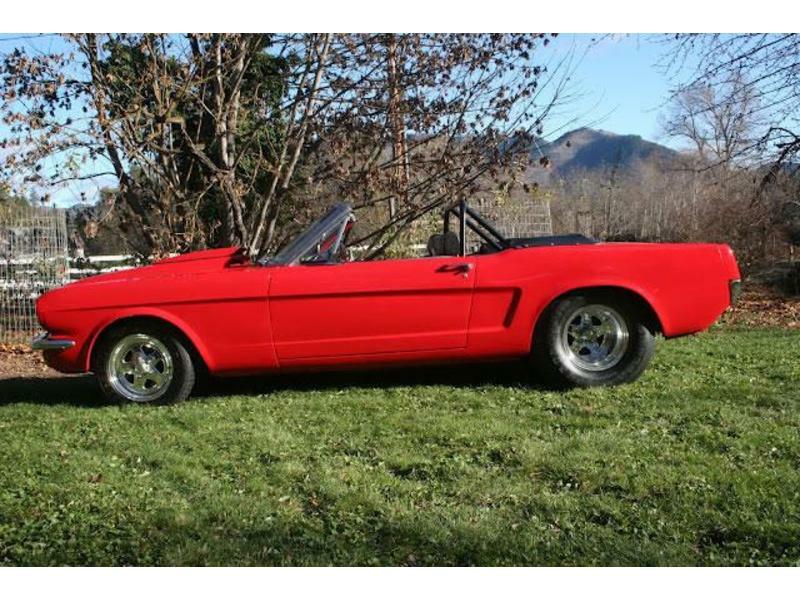 If you're looking for a one-of-a-kind classic convertible Mustang weekend head turner, this is it! 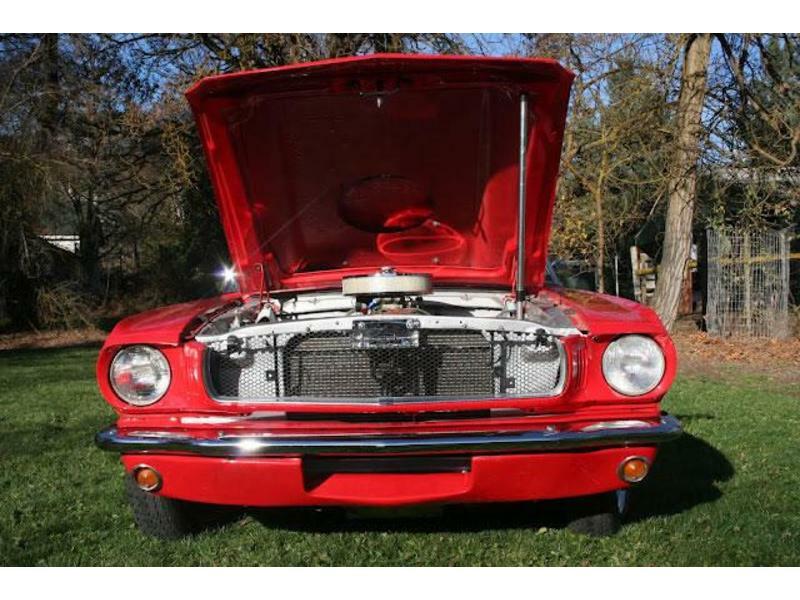 Over $100K invested. 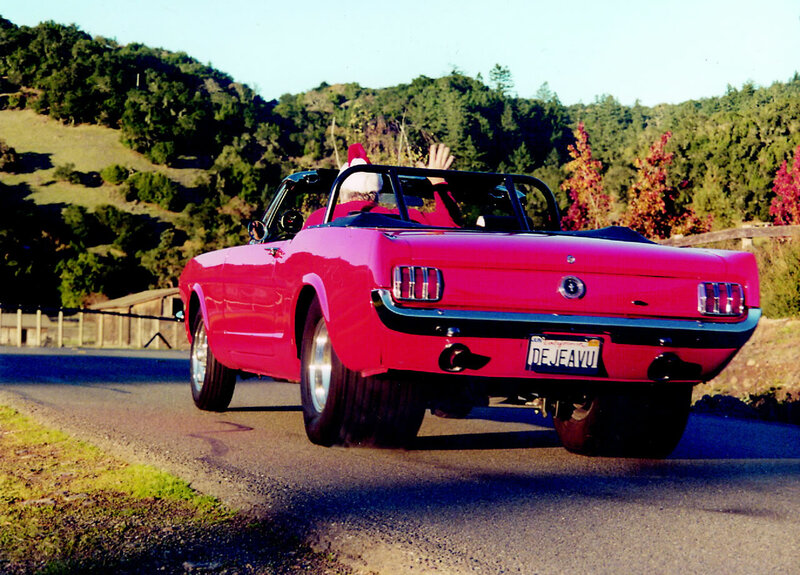 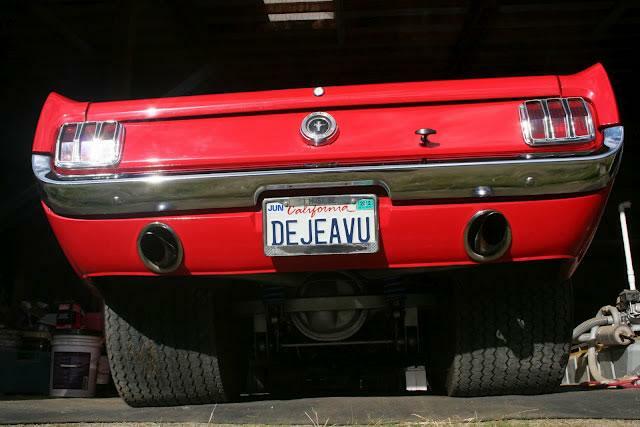 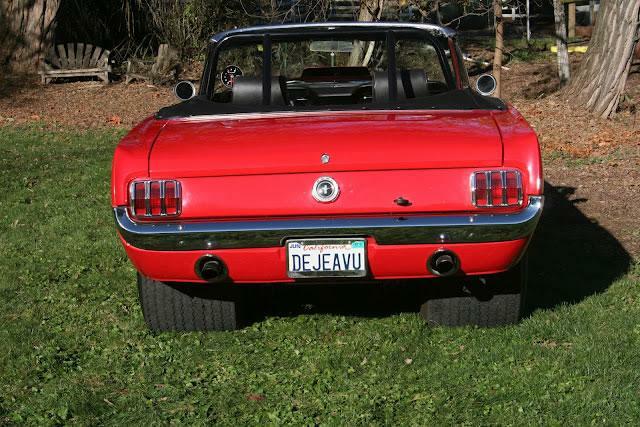 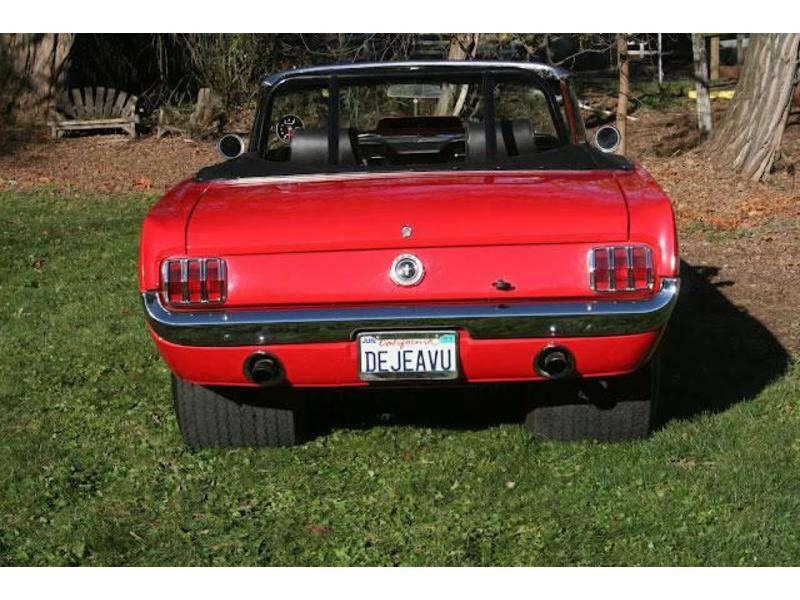 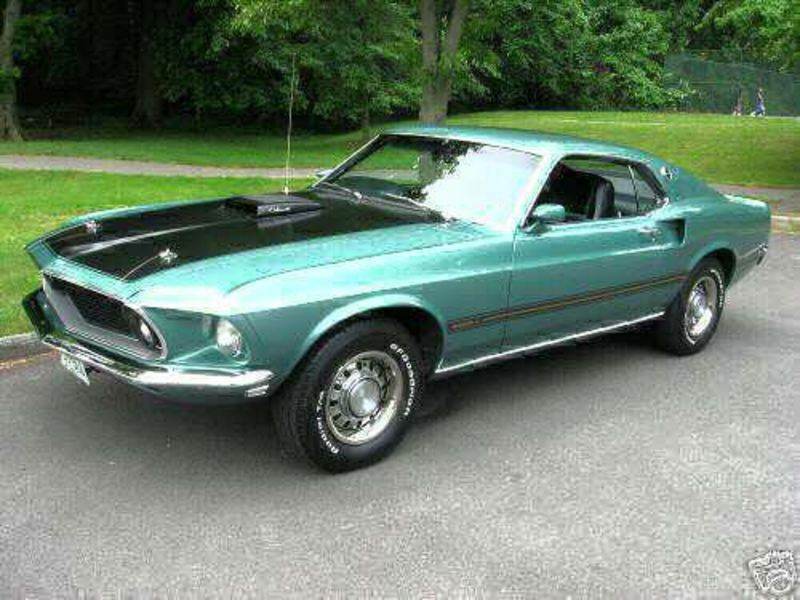 Check out these great classic Mustang photos! 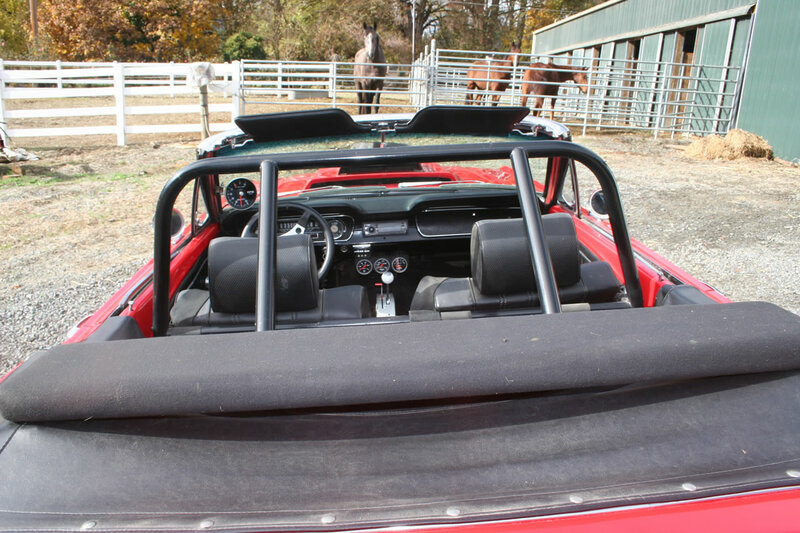 EXTERIOR: The car is not Excellent but certainly not a daily driver Never driven in rain and stored inside.Good paint small rock pocks on under front bumper cowl. 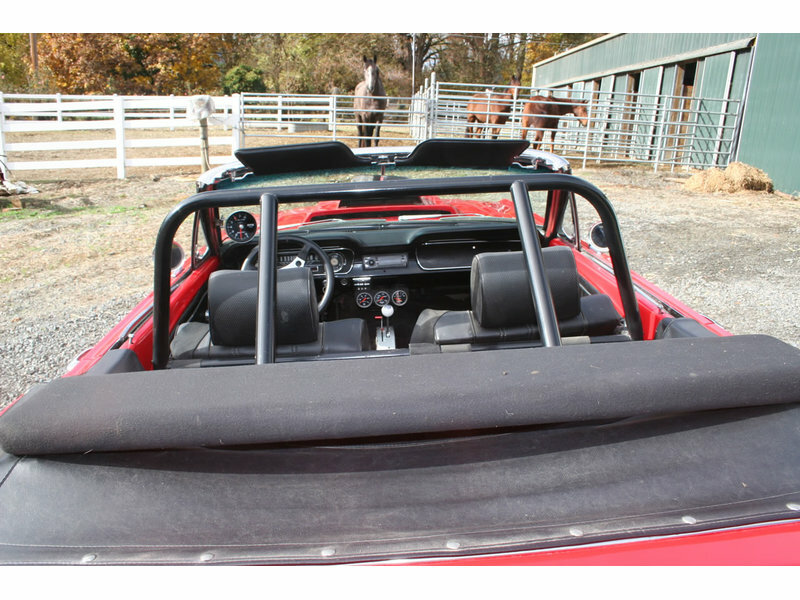 Windows all good Convertible top is new up only for transport on trailer extremely tight.I am having relaxed or will replace. 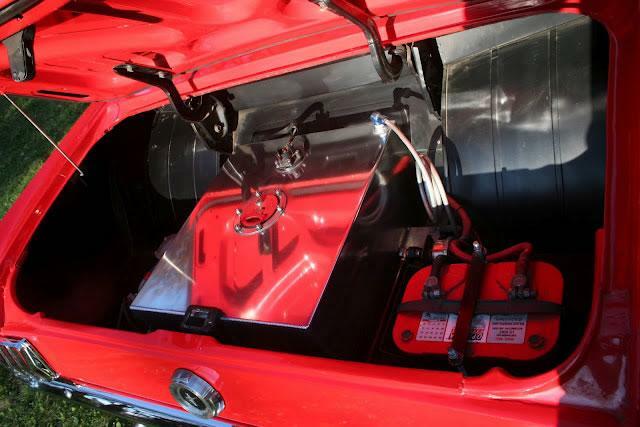 Auto matic hydrolic lift is in position and could be hooked up quite easily. 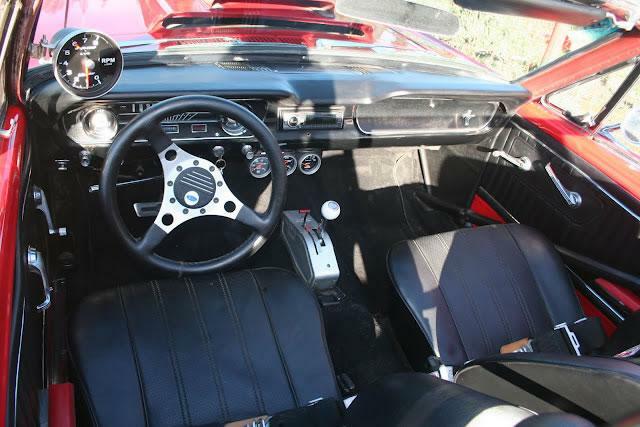 INTERIOR: Seats up graded to BMW to handle a big guy comfortably gauges all work but odometer. 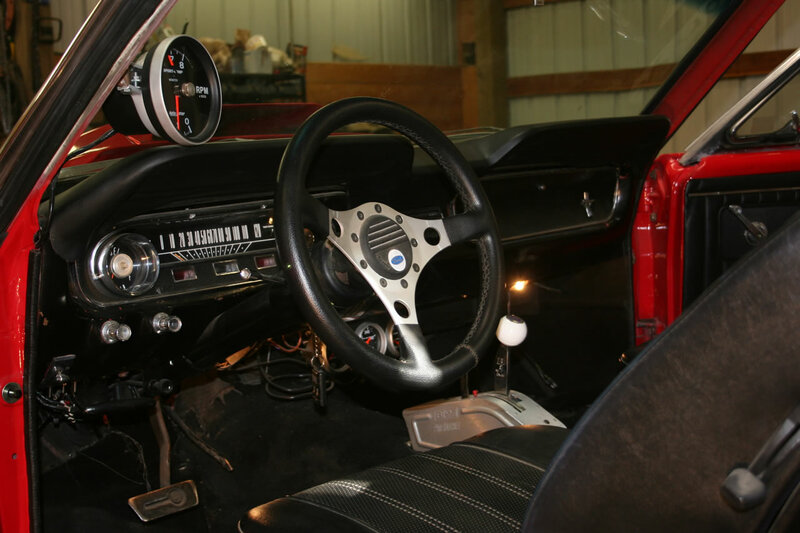 Radio upgraded to AM FM CD. 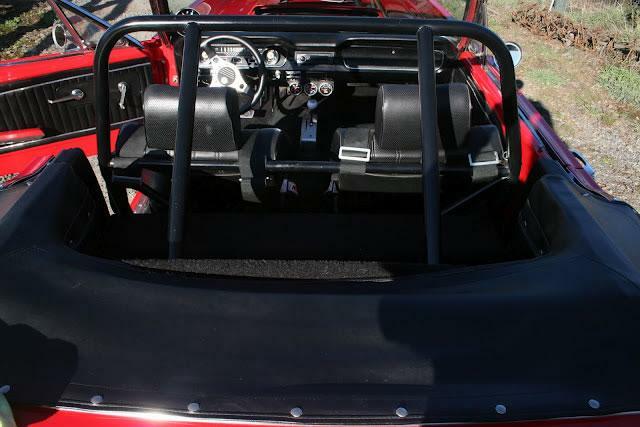 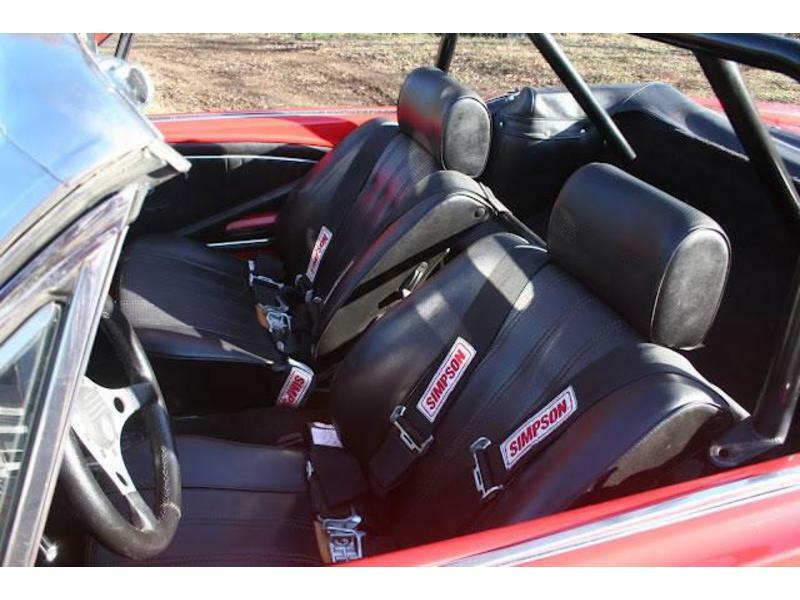 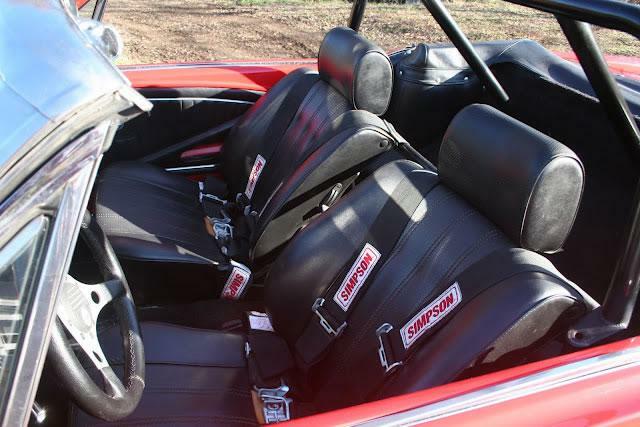 Roll cage has swing out side connectors and Simplson 4 inch 3 way seat belts.